Do you have a wardrobe full of clothes, but nothing to wear? Would you just love to know what your most flattering colours are? Could you use a few tips on how to dress according to your body type? When you wear your best colours you immediately start working to your strengths which can't help but create a higher level of confidence. It is also the quickest way to look slimmer, younger and healthier!! Woo woo. PLUS the clothes in your wardrobe all mix and match, creating many outfits with fewer garments. Join SBWN this month to learn a clear and concise approach to dressing that can be adapted to any lifestyle. Start planning 48 outfits from 10 garments!! This inspiring learning experience will be conducted by SBWN member Sue Marriott, a Tarwin Lower local who has lived on a beef and sheep farm for the past 32 years. 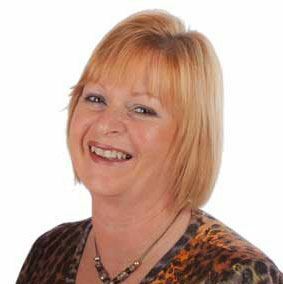 Sue started her career as a hairdresser 42 years ago and became a sewing tutor 34 years ago, she is also a published author of Ready, Set, Sew - penned for beginners. Sue became an image consultant a few years back to compliment her wardrobe planning/upcycling workshop. Come along to this month's dinner event and do something special just for you! 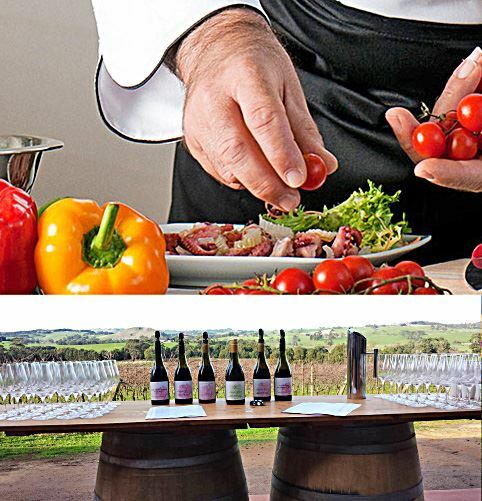 Our November SBWN Dinner Event backdrop is the historic Koonwarra Hall with Brent Sinclair Catering of Leongatha, delivering world class food using the best produce from a range of local suppliers. Brent and his team have earned a well-deserved reputation for presenting exceptional food that is both delicious and nutritionally balanced. It should be a mouth watering affair! Local produce takes a starring role this month! Top: Brent Sinclair Catering will be providing delicious fare at our November dinner event. Bottom: Lucinda Estate winery will run the bar for us.